Won’t we ever get out of here? How long until my order arrives? When will he come home? When is the baby due? Will this fog never lift? When will this traffic move? Won’t she ever call back? When will they finally get here? How long will it take? You mean I have to wait?!?! I admit it: waiting is often tough for me. Temperamentally, I’m more wired for activity and efficiency than stillness or quiet. But my spiritual journey has proven the immeasurable value of silence with God, so cultivating a habit of daily prayer became a joyful task rather than a dreaded one. Along the way, I discovered the huge difference between idle waiting and waiting well, and in the process, have come to relish Advent as a true gift of Christmas preparation time. Idle waiting seeks any distraction to ease its discomfort, and for many years I easily fell prey to the world’s messages of holiday busyness in the name of “getting ready for Christmas.” By contrast, waiting well holds an expectation of God’s presence through the waiting. In waiting well, I surrender my need to be active or in control, trusting that God will reveal himself as he alone knows I need. My waiting is thus transformed into consciously seeking God, often through solitude in prayer. This isn’t to suggest eliminating Christmas decorations, gift-giving, and gatherings, but rather to follow St. Ignatius’s advice to strive for a healthy balance between holiday commotion and calmness. Accepting the invitation to enter into the spirit of Advent encourages me to escape from the commerce and chaos of Christmas by instead focusing on the stillness required to become attentive to the stirrings of my soul. For it is only in stillness and quiet that I clearly recognize the hunger for God lying beneath the distractions that preparations for Christmas all too easily generate. Only in stillness and quiet can I hear God’s gentle whisperings and embrace the new life of love God calls me to bring into the world. Only in stillness and quiet will I become aware of my utter helplessness for this task and allow God to reshape my heart, surrendering more to his will day by day. Rather than an agonizing exercise in waiting, Advent is pure joy, a season of simplicity in its purity of intention. Growing in holiness while preparing my heart to receive Jesus anew may seem to radicalize Christmas, but the fruit of inner peace by being liberated from the season’s madness is unmistakable. After all, isn’t growing in intimacy with God—loving others more as God loves us—the underlying reason for celebrating Christmas? 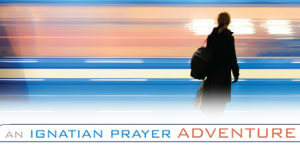 Embrace the Advent season as a sacred space from the ease of your e-mail inbox with Sacred Advent. Photo by Ümit Bulut on Unsplash. Cindy Ristroph opted for the vocations of wife and mother when her children were young, and only looked back to her former engineering career to rekindle relationships. She shifted the focus of her volunteering from schools to church when she and her husband became empty nesters. Active in many parish ministries, Cindy tries to follow wherever God leads, often well beyond her comfort zone. She delights in being amazed by our God of surprises, especially through her family, the night sky, and inspirational music.